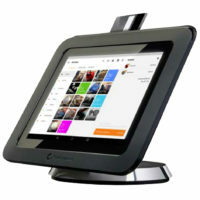 The Groovv Storefront is a free point of sale system designed with small business in mind. This complete POS system makes taking payment and managing your business painless. It is able to capture key business information and delivers all the benefits of a tablet computer while still letting you print receipts for your customers. This solution is ideal for automotive services, boutiques, health & beauty, and other retail businesses. 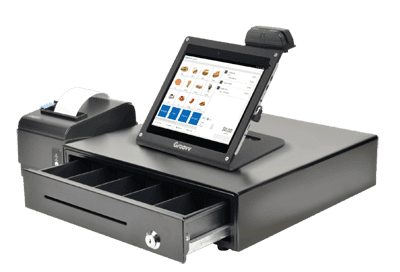 The Groovv Storefront will eliminate your traditional cash register with a credit card terminal sidekick while giving you easy access to your business’ key information when and wherever you need it. Simply log in to your complete cloud based back office to view your transactions, see selling trends, track inventory and more. The Groovv Storefront has been replaced with our PayAnywhere POS. In working to improve your experience with Total Merchant Services we have discontinued the Groovv Storefront and replaced it with our new updated PayAnywhere POS. The PayAnywhere point of sale is also available at no cost with or without the cash drawer receipt printer combo. Our free PayAnywhere POS is designed for the merchant on the go. More ways to get paid including on the tablet, online, invoicing, and with the app!